Cryptocurrencies have exploded in value, but there is a substantial lack of information about the tax law consequences of these assets. We assembled a panel of four of the world’s leading tax law professors to dig deep into the most pressing issues. The panel consists of NYU School of Law’s Professor Richard Ainsworth, Duke University School of Law’s Professor Lawrence Zelenak, NYU School of Law’s Professor Mitchell Kane, Arizona State University Sandra Day O’Connor College of Law’s Professor Adam Chodorow. The panelists have some explosive thoughts on the tax consequences of cryptocurrencies. First, we cover whether exchanging one cryptocurrency for another is a taxable event. This has huge ramifications because it is very common to swap one of these assets for another. Many people assume that prior to this year, these coin-for-coin trades were never taxable events. This is likely very wrong. Next, we discuss whether that could mean people are locking in hundreds of billions of dollars of technical tax gains that may never be converted into traditional currencies if cryptocurrencies drop in value significantly. This could have calamitous effects on the cryptocurrency community, with some people potentially owing the IRS large sums for the rest of their lives. Subsequently, we discuss why 2018 could see an avalanche of enforcement activity by the IRS. Less than two months ago, large cryptocurrency exchange Coinbase notified customers that it was ordered to turn over financial histories to the IRS. With the dramatic upswing in cryptocurrency value, the IRS is clearly taking notice this year. We move on to discuss the different penalties that could arise for failure to pay taxes. Is there criminal liability? Could people go to jail for tax evasion? What might an enforcement action by the IRS look like for an ordinary holder of these assets? The words “fish in a barrel” were used to describe people who did not pay taxes by one panelist. We also discuss how people should handle their digital asset bookkeeping. If you buy a cup of coffee with Bitcoin, do you need to inform your accountant? Later, we talk about the tax issues associated with “mining” a cryptocurrency. Mining is when you generate an asset from your computer instead of buying it. This is important because there could be significant tax hurdles compared with simply purchasing the asset with dollars. We go on to talk about “forks.” A fork is when a new cryptocurrency is created and holders of a prior cryptocurrency are given identical stakes in the new one. One such fork involved $30 billion dollars automatically sent to people across the world in an instant. How might such a windfall be taxed? Finally, we talk about possible changes to the law that cryptocurrency enthusiasts should rally behind. While the community could owe tens of billions of dollars or more in taxes than they ever receive in dollars, one panelist has a sensible solution to help prevent that outcome. These legal changes offer a common sense approach to avoid having some people owe the IRS for the rest of their lives, especially if they never receive much if any actual dollars from cryptocurrencies. The IRS notes, “Like-kind property is property of the same nature, character or class.” So, many argue that any digital asset is sufficiently similar to any other digital asset as to qualify. If true, prior to the 2018 changes, changing from e.g. Bitcoin to Ethereum would not be taxable. However, our panel takes a dim view of this interpretation. We asked for example whether exchanging Bitcoin for a cryptocurrency redeemable for cloud storage would legally be a non-taxable event. Prof. Ainsworth notes, “You are talking about a ‘realization event.’ The event happened with the ‘exchange’ which occurred with the [Bitcoin to cloud storage coin] transaction.” In other words, you cannot delay the date of your tax gains to when you ultimately exit the cryptocurrency universe for traditional currency. The realization event happened when you exchanged one cryptocurrency for a different one. Another pitfall for investors relying on like-kind exchanges within the cryptocurrency asset class is the possibility one of the traded assets is deemed by the law to be a “security.” Prof. Kane notes, “The second hurdle is whether any exceptions apply. I think the biggest risk here could be the exception for ‘securities’. I understand the SEC has taken the view that at least some digital assets are securities… But I understand the CFTC may also take the view that some digital assets are commodities, not securities.” The IRS notes that “certain types of property are specifically excluded from” like-kind treatment and includes “securities” in that list. So, even pre-2018 exchanges between coins of identical purpose may not qualify for like-kind treatment if one of them is a security. If cryptocurrencies are in a bubble, could people legally owe tens of billions more in taxes than traditional currency received? At the time of writing, the aggregate market capitalization of cryptocurrencies is over $310 billion dollars. That is about the same market cap as Exxon Mobile or Bank of America. If all cryptocurrencies were combined into a single stock, that stock would frequently be listed in the top ten largest U.S. companies by market cap. One way these consequences are mitigated is if the tax gain and loss occur in the same year. Prof. Ainsworth notes, “An agile investor would work as hard as possible to get both gain and loss in the same year to offset pain.” So, investors who had substantial tax gains offset by tax losses in the same year would be unlikely to owe more than they made. It seems clear then that the worst case scenario is not mere loss of principal. Rather, the worst position for someone to be in is to have substantial gains in one digital asset, exchange it for another (and such exchange is not viewed as “like-kind”), and the second asset crashes. If cryptocurrencies go back to levels seen only a few years ago, there could be tens of billions of dollars more in owed taxes than people earned in actual dollars. According to an allegedly leaked document from JPMorgan Chase, the “net amount of money invested every year” into cryptocurrencies “has totaled around $6bn since 2009, well below the current market cap of $300bn.” If this estimation is accurate, that would mean the market cap of these assets is only supported by about 2% of their reported value in traditional currency inflows. For a rough analogy, Warren Buffett’s Berkshire Hathaway has over a $488 billion market cap. It has a “price to book” ratio of 1.40. This ratio compares a company’s market cap (the price) with the total value of the company’s assets, minus the company’s outstanding liabilities (the book value). In other words, every $1.40 of Berkshire Hathaway stock is backed by $1 in assets (such as real estate, contracts, and other valuable properties). The difference between book value and market cap reflects, among other things, the premium the market places on Warren Buffett’s stewardship of these assets. In other words, Berkshire Hathaway is a stable blue chip stock with strong underlying assets backing its price. This is very different from what backs cryptocurrencies, which consists of the few billion in traditional currency inflows. This does not intrinsically mean cryptocurrencies are in a bubble or even that they are overvalued. However, it does confirm the general wisdom that with more reward potential comes more risk potential. If every asset holder today exchanged their digital asset holdings for different digital asset holdings, there could be hundreds of billions in taxable gains. How could it be that only a few billion dollars of traditional currency investment could lead to technical tax gains of hundreds of billions? The answer likely involves the community’s fierce commitment to staying within the cryptocurrency universe instead of selling for U.S. dollars. For example, even at a high of just under $20,000 per Bitcoin, the pseudonymous creator called Satoshi Nakamoto had never sold a single coin. Satoshi owns 980,000 bitcoins. At the end of last year, the value of those coins were technically valued at $19.4 billion U.S. dollars. Many others have followed suit, declining to sell their digital asset holdings for even staggering sums of traditional currency. There are also almost routine reports of people digging through landfills in search of discarded computer hardware with Bitcoin that had appreciated by millions of dollars. These assets are priced based on supply and demand. Tax lawyers look to this price to determine legal liability. If a large portion of the holders of the supply refuse to convert to traditional currencies for any price, even a few billion dollars of inflows to these assets could cause them to be viewed as worth hundreds of billions in the eyes of the market and the law. Will 2018 see a massive rise in legal actions by the IRS? To date, there do not appear to be many reported cases of taxpayers getting in trouble with tax authorities. However, this could be about to change in a big way. On February 23, 2018, digital asset exchange Coinbase notified some customers that it was ordered by a federal court to turn over financial details for many of its customers. Such details include historical transaction records tied to names and social security numbers. 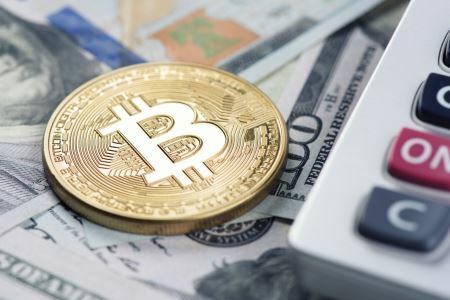 In an affidavit filed in federal court the IRS noted that only 802 taxpayers in the country reported a cryptocurrency transaction in 2015. This is a staggeringly low number given the amount of money at stake and the users reported by exchanges such as Coinbase. The Coinbase exchange alone currently reports over 10 million users. In 2015, Coinbase reported it served three million users. The overwhelming majority of cryptocurrency traders appear to be relying on the like-kind exchange rules to avoid paying taxes. Could people face criminal liability and even jail time for failure to pay taxes? How should people account for their cryptocurrency trades to stay legally compliant? It is common for cryptocurrency enthusiasts to avoid traditional currencies as much as possible. These people convert from one coin to another, and sometimes buy goods and services in exchange for these coins. According to Prof. Chodorow, each one of these transactions involves a bookkeeping obligation. He adds, “Any time that you sell or spend a virtual coin, you will have a tax gain or loss if the value of the coin at the time you sold or spent it differs from the value when you acquired it.” In other words, if you buy a cup of coffee in exchange for a portion of a Bitcoin, you should calculate your original tax basis in the portion of the Bitcoin you exchanged and the value of the coin at the time you purchased your coffee for your records. How is “mining” taxed under the law? Mining involves doing something (such as performing calculations or providing digital storage space) for a digital asset platform in exchange for the asset. The biggest example is Bitcoin mining, where you can generate Bitcoin without directly paying for it by performing calculations for the network. Here, the “treasure trove” is the mined asset. The computer hardware that mines it is analogous to the piano in the Cesarini case. If the analogy holds, cryptocurrency miners cannot defer their tax obligations upon an exchange of the asset for something else. Instead, they would owe ordinary income tax immediately upon receipt of the mined asset. If the asset changes value after that date and the owner exchanges it for something else, the difference in value would then be either a capital gain (if it went up) or a capital loss (if it went down). If Satoshi Nakamoto is an American citizen, he would likely have had to disclose his Bitcoin mining rewards and identity even if he never sold a coin. Bitcoin mining essentially requires two things: the hardware and the electricity. It used to be feasible to mine on regular laptops but now that is rare. Instead, people buy specialized hardware designed specifically for mining. Then, they run mining software and the main cost is the electricity required to perform the calculations. However, tax law puts an interesting wrinkle in this exercise. Less than a month ago, Fortune reported that mining a Bitcoin costs about as much as buying one. Depending on the local cost of electricity, it can cost as much as $26,170 (as in the case of South Korea) to mine one Bitcoin. This makes sense at first. If it cost $1 in electricity to get $2 worth of Bitcoin, more and more people would mine it. As more people mine, it gets more difficult (and therefore more expensive) to mine. Since it is so easy to mine (you just need to buy the easily available equipment) the profit incentive should trend down to zero. However, people appear to be forgetting their tax law obligations in making this calculation. If you pay $10,000 of electricity to get $10,000 worth of Bitcoin, you then have to pay income tax on the $10,000 of Bitcoin you generated. If you mine cryptographic assets as a business, you may also have to pay a “self-employment tax,” which is an additional tax on top of the normal income tax. Mining as a “hobby” carries separate tax disadvantages such as limited ability to deduct expenses. In a rational market with everyone paying taxes, it seems likely the electricity costs to mine would be lower than the value of the coin generated. This is at least in part necessary to offset these tax obligations. However, this could be a situation where the people who refrain from paying tax drive the cost of mining beyond what would be profitable for someone who would paid the tax. How are “forks” handled from a tax law perspective? A “fork” occurs when someone creates a new cryptographic asset and distributes tokens to everyone who held a prior cryptographic asset. For example, “Bitcoin” forked into “Bitcoin Cash.” The original Bitcoin still exists, but now this separate asset called Bitcoin Cash does too. If you had a specific amount of Bitcoins at the time Bitcoin Cash was created, you automatically received an equivalent amount of Bitcoin Cash tokens. Nearly immediately, the market cap of Bitcoin Cash became priced at roughly $30 billion dollars. In other words, even the IRS has not articulated how it wants found money from forked assets to be treated. However, just because there is no guidance does not mean there is no tax. To unpack that, receiving a dividend is somewhat analogous to receiving a new “forked” asset. Dividends are not taxable “under section 305 of the code” but that does not mean they are not taxable at all. It means they are not taxable as “gross income” subject to some exceptions. If the IRS views the receipt of forked assets as equivalent to receiving dividends, perhaps a taxpayer would not need to pay ordinary income tax. This language very likely does not encompass most (if any) forked cryptographic assets. So, it seems plausible the receipt of the fork could be viewed by the IRS as the receipt of ordinary income immediately upon receiving the new asset. How can supporters of cryptocurrencies advocate for changes to the tax law appropriate to their circumstances? Advocates of this asset class have a lot to be thankful about. People have seen their wealth on paper soar by as much as millions or even billions of dollars. Any industry worth hundreds of billions of dollars would likely benefit from an organized voice in the legislature to speak to their unique interests. We asked if there might be an amnesty for those who failed to pay taxes in the past. Such an amnesty could account for the significant uncertainties regarding these assets. In other words, we have had many paradigm shifting technologies in the past. If they generate money, there is likely a tax component. Just because the specific legal requirements might be vague at first, that does not mean they do not exist. Prof. Ainsworth suggests, “A legislative solution would be to allow multi-year averaging of crypto transactions.” He notes that, “We have done this in the past with some kinds of assets.” This seems to be a significantly reasonable change in the law. The law currently says that if you have large gains and losses separated by different years of swapping these tokens, people could face tens of billions more in tax obligations than they ever saw real dollars. Prof. Ainsworth’s proposal could dramatically lower the chances of this happening while the fair values of these assets are priced by the market. Currently, farmers and fishermen can average their incomes over several years. This smooths out both the good and bad years. This makes sense as both farmers and fishermen can experience wildly varying yields from year to year. It is no less sensible than smoothing out the wildly varying prices of digital assets. The difference is that farmers and fishermen have lobbyists who can explain this position to Congress. Such advocacy is reasonable, and the largest holders of cryptocurrencies should follow suit. If there is a dramatic downward shift, many ordinary people could owe huge sums to the IRS for the rest of their lives.